The new Libyan government has confirmed that Muammar el-Qaddafi, the former dictator of Libya, has been killed after his hometown of Surt was taken. Here's a look back at the search and pursuit of Qaddafi, and some of the more extreme tools that have seen action in Libya since February. 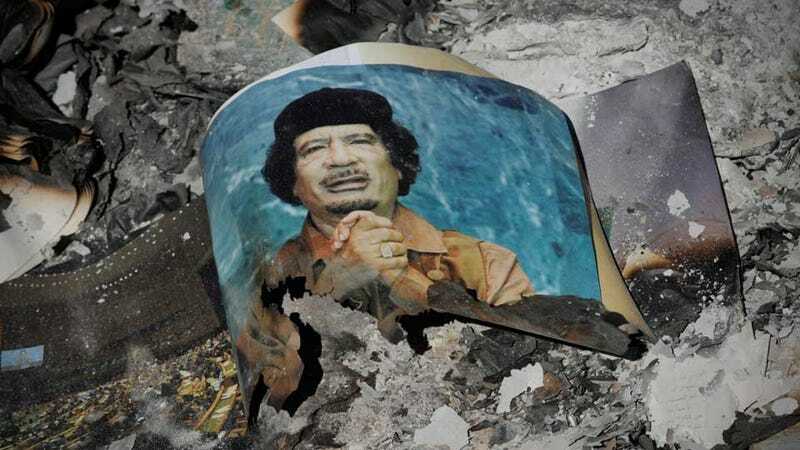 Qaddafi had been dictator of Libya since 1969, but fled Tripoli in late August after the city had been overrun with insurgent fighters. The revolution began in February, during the Arab spring, and has seen especially vicious fighting in the months since.